Cooperations mean collaboration and inspiration, along with concentrating collective strengths for a greater collective cause. 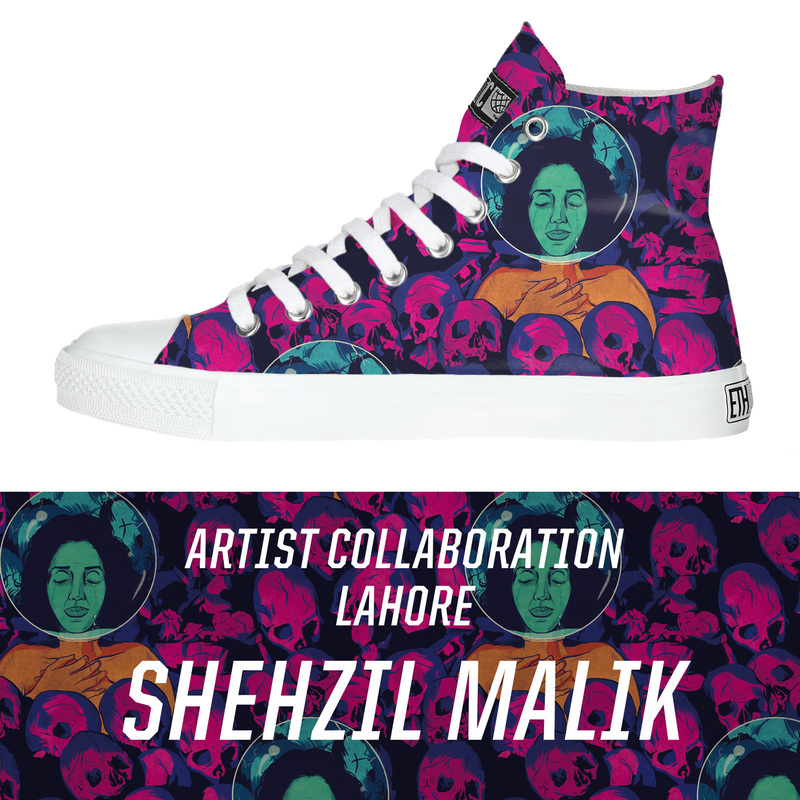 We are therefore very pleased for the opportunity to introduce you today to Shehzil Malik, the distinguished Pakistani artist designing a “Limited Edition” for Ethletic. Shehzil lives in Lahore, Pakistan. The former Fulbright Scholar loves to take long walks to clear her head and reflect on new projects. But strolling through the local park near her home takes preparation. She says, “It feels like I’m entering a battlefield”. Shehzil Malik at her workplace. On the monitor we see one of her “Brown is Beautiful” pieces. It starts with the “appropriate” clothing she has to change into before leaving the house. Next comes removing her make-up as a precautionary measure and then binding her hair tightly in the back. All these superficialities are necessary to make her way through Pakistan’s patriarchal society without being starred at too much and to prevent attacks like the one’s Shehzil has experienced dozens of times. Superficialities they may be, but they go deeper. They have the power to touch a woman’s very identity, to unsettle and restrict her, to prevent her from participating in her own life. 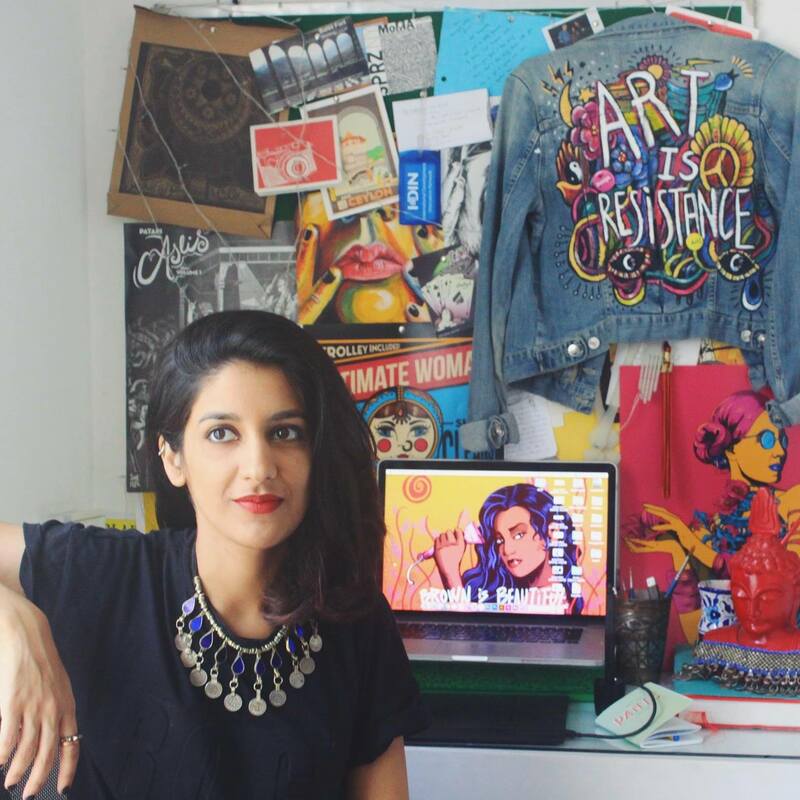 Shehzil’s work as an illustrator and designer addresses issues of gender, identity and equality. On the one hand she critically and very vividly confronts the injustices women suffer in many places, while also using her work as a hopeful counterweight against such oppression. Shehzil creates art with a strong message that we want to share with you today on International Women’s Day. Her work encourages women to be who they want, and the visual aspects of her work benefit this message greatly. Visuals that represent who you are or aspire to be are so important – it changes how you perceive yourself… which ends up changing how the world perceives you. I would have loved to have grown up with badass women of colour as role models – it would have made me realise earlier that I am capable of so much more than the Pakistani conventions I was raised with. After all, if you didn’t see a brown badass female superhero growing up, how’d you know if it were possible? She painted her superheroine as a reaction to the feeling of being held captive by arbitrarily imposed rules and curfews. She has no interest in living a predetermined life. “I can and I will disregard that. This picture tells the women around me ‘You be you, honey’”. She was out to provide women with new role models for a self-determined life, figures who are strong and powerful, “tough as nails”. 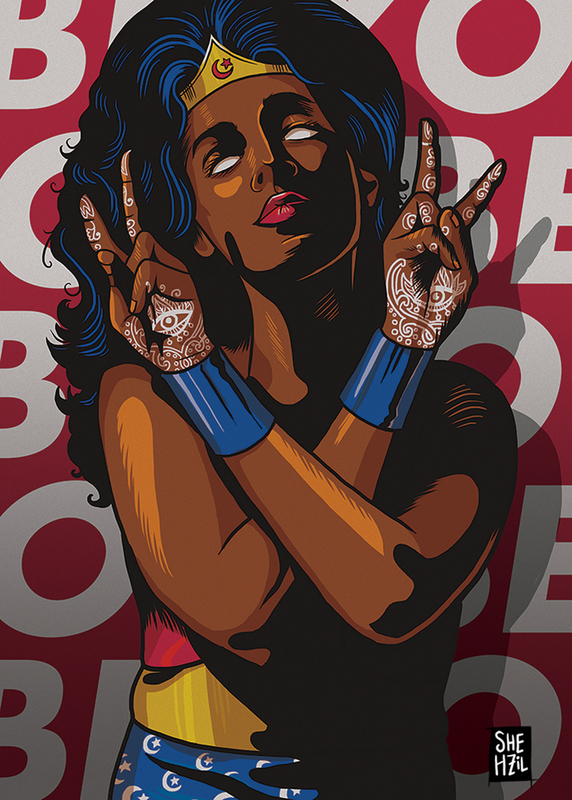 The Pakistani superheroine who has appeared again and again in her art was born. I had had this image in mind for a while, years perhaps, of how I actively avoid the news and violence around me. I’ve struggled with the thought of studying and working as a designer/artist in a place as volatile as Pakistan. By the time I finished animating this, the churches in Youhanabad had been attacked. And I had drawn pink skulls. I don’t think there are ever easy answers. How two workmates became the Conscious Rap duo "Nebulake". NEWS - It’s been a while now since you voted and chose two winners from the designs proposed by university students in Berlin. Now it’s time for our colleagues on this project from Lahore! 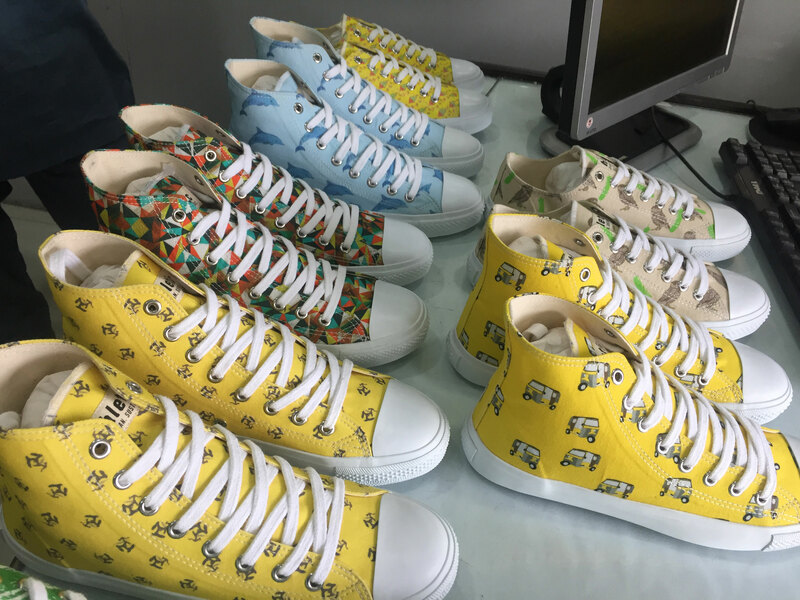 You have six designs to choose from, and we’ll produce a limited edition of the winning shoe. ONE OF US - Leave it all behind, travel the world and live out your dream. Sarah and Manu travel in a former fire department van they customized themselves.